We are able to offer a range of portable Dance floors for your special event, which includes Black and White, White, Black, Parquet, Mirrored and Illuminated. All floors are totally portable and come in sections which can be simply interlocked together. 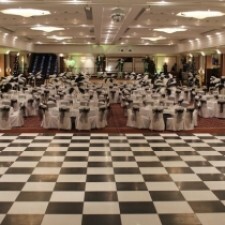 Once assembled the floors look stunning and add a touch of elegance to your event. 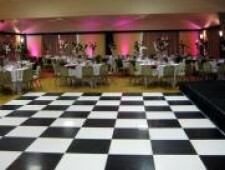 StageGear has offered Dance Floors for many years to the Isle of Wight, these include Black & White and LED style floors.